Comments: Has a very, very unpleasant odor akin to decaying hamburger meat when in flower. The maroon colored flower is very large and the spathe can reach a heigth of 5 feet and presist for about 3 days. Requires a constantly moist soil for best growth. 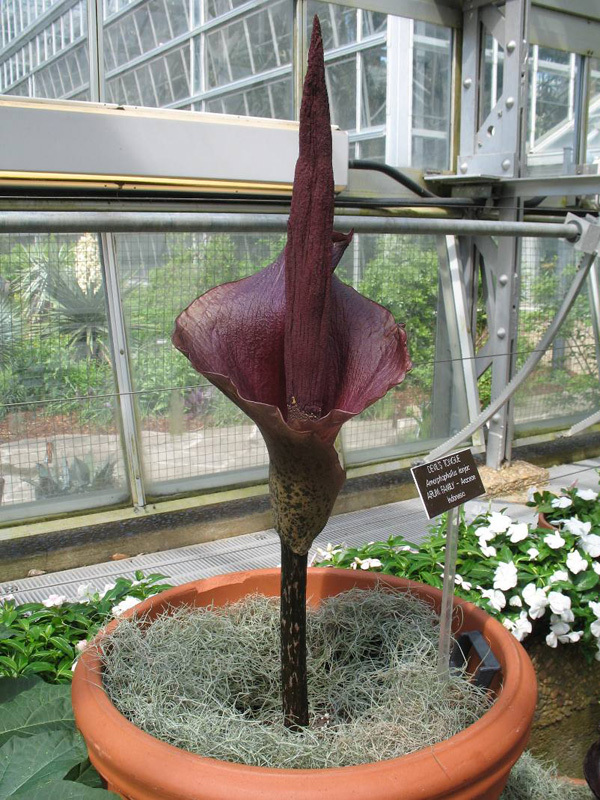 It has one of the largest bulbs and 22 pound specimens have been reported.